They come in a choice of brass, cast iron, steel, and stainless steel. "V" Series valves are ideally suited in hydraulic and lubricating systems for load regulation and system protection. Both models come with either screw or flange type connections. 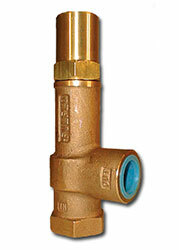 The threaded valves are available in 2-1/2" or 3" sizes in either cast iron or steel. 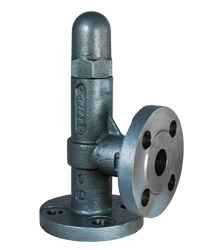 The flange type valves also include a 4" model and may be specified with 150#, 300# or 600# ANSI flanges. Note that 600# is available in steel and stainless steel only. The direct acting valves operate at pressures to 150 p.s.i. ; the internal pilot operated models at pressures to 500 p.s.i. All operate with liquids of any viscosity. 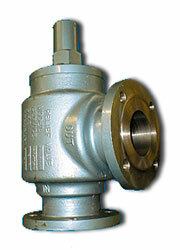 The valves mount in any position and offer chatter free performance. "A" Series valves are ideally suited in hydraulic and lubricating systems for load regulation and system protection.